“If you want to get anything out of Wharton, you will have to put in a lot of work”, said Mik, one of the first Whartonites I met in Philly about a month ago. It was unusual advice but one that, looking back, really resonates with my experience here on exchange. 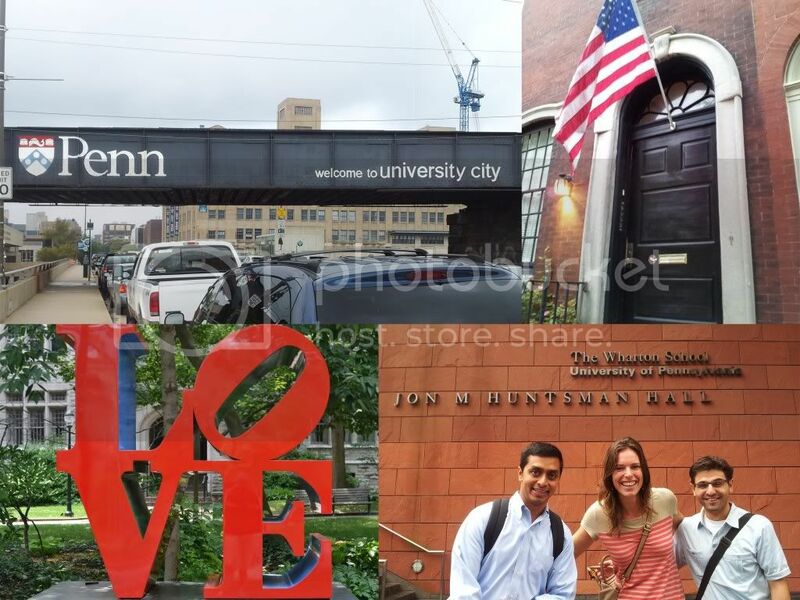 Wharton offers everything one could expect from an top-tiered American MBA school. It has a beautiful campus, a large student body and more club events than you can possibly attend. It really is not hard to get overwhelmed by it all. I think at first, the 11 INSEAD exchange students were a little disoriented by the 1600 other MBAs around us and struggled even to find a place to have lunch without getting lost. However, the good news is that once you explore a little, you realize that there a wealth of resources available here. The IT system is top of the line and the study room booking system is smart and intuitive. If you want to join a club, any type of club you can imagine: professional, social, athletic or cultural, odds are it’s available for you and there are 3 co-presidents and 9 VPs running it. The career center is an entire building and provides a lot of opportunities for those wishing to find a job in the United States. As for the classes, I will have to say, it is a mixed blessing. Although the course selection is nowhere near as wide as what is available at INSEAD due to the fact that we can only take half-courses, the teachers themselves are very knowledgeable and very open. My classes are more focused on entrepreneurship and most of my professors have a lot of real-world experience building their own successful companies. It is a great chance to speak to successful entrepreneurs and pick their brains. After a month, we have slowly found our little niche in Wharton, we mingle with some of the really nice Whartonites and partake in some of the crazy traditions like Walnut Walk and the White Party but this exchange was also a chance to really bond with the INSEADers who have decided to take this trek together. That has possibly been the highlight of this exchange. We’ve had rooftop barbecues, study groups and our own version of the National Week parties happening on the Singapore and Fontainebleau campuses and you can tell that some of us can’t wait to go back to our home campuses for the comfort and the diversity. Others have found that Philly has taken up a small place in their heart and just as we are getting into our groove, figuring out that the best food is at food trucks, the best hacks to booking the study rooms and which parties you just have to attend, it is time to move on. Philly was work but it was totally worth it. In a week, I’ll be off to Singapore, hopefully back to the (hopefully) easy life. I can’t wait to see you guys.